The purpose of the Student Council is to provide leadership to the student body for various activities, and advise the principal and teachers regarding student interests and concerns of a general nature. Each 5th-7th grade class has an elected representative at general council meetings. 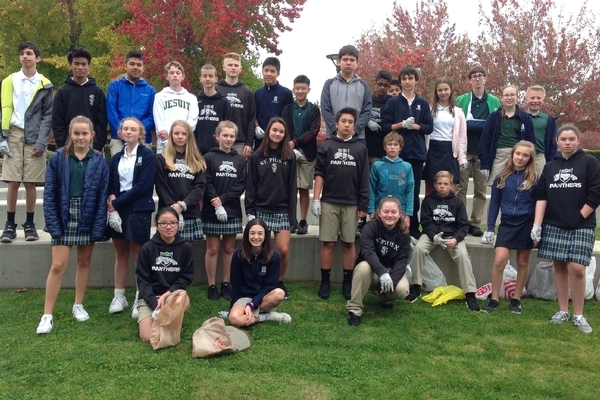 St. Pius X School students participate in various service projects throughout the school year. The St. Vincent de Paul food drive, Christmas giving programs, and parish ministry programs are all-school projects. 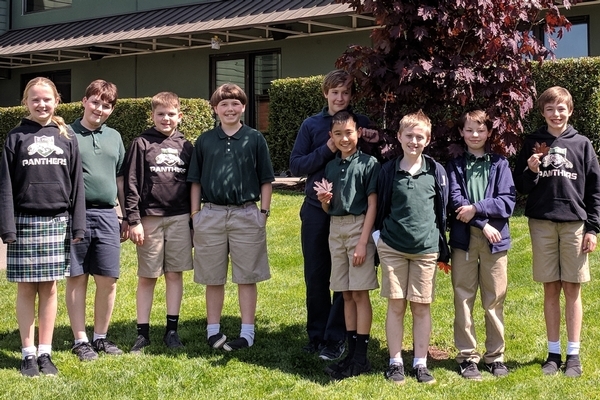 Individual classes frequently head up various smaller projects, and all middle school students complete a minimum of three hours per trimester of Christian service. 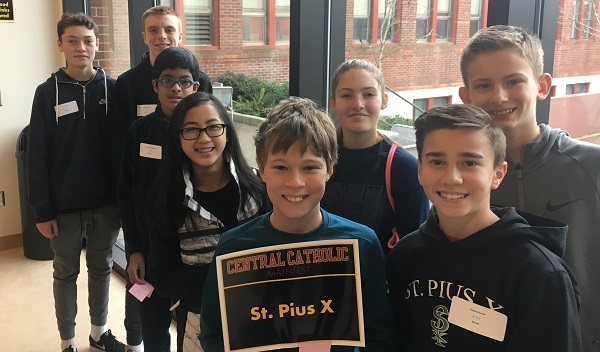 Math Festival is an annual event hosted by Central Catholic High School (usually on a Saturday in January) in which four 7th graders and four 8th graders compete with students from other Archdiocesan schools in a variety of math related games. The Christmas Program for 6th through 8th grade is an optional extracurricular activity. Opportunities include acting, singing and musical performance, staging, lighting, and sound. The 2017 play was Amal & the Night Visitors. The 2018 play will be A Christmas Carol. 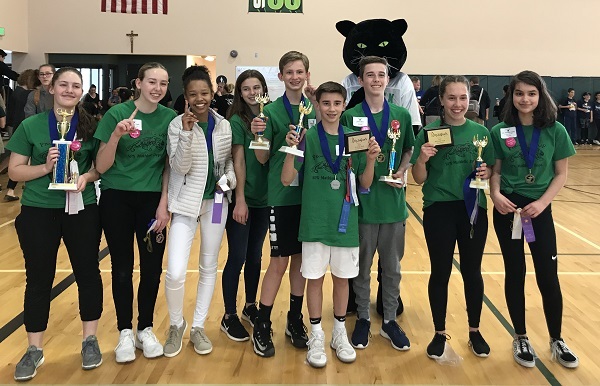 Pentagames is an annual state-wide math competition held on the last Friday of April for teams of three students each of 7th grade math, 8th grade math, and algebra. Battle of the Books is an extracurricular reading competition that tests comprehension and recall skills. 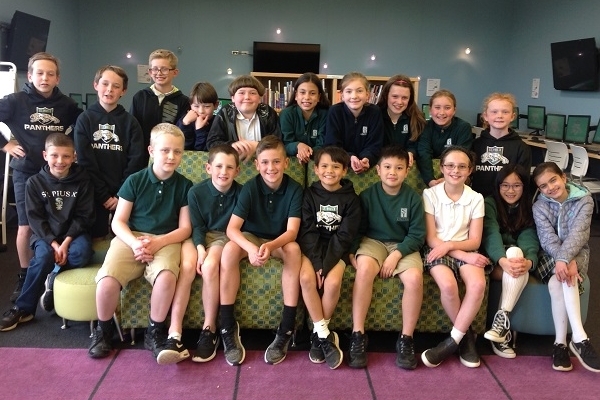 Fourth and fifth grade students compete each spring with other local Catholic schools. St. Pius X runs our Science Fair Team as an extracurricular activity. The goals for the Science Fair Team members are to explore a question of interest in depth; to gain knowledge of a scientific concept through research, experimentation and observations; and to promote critical thinking and problem solving skills through data collection, interpretation of data, and technical writing. 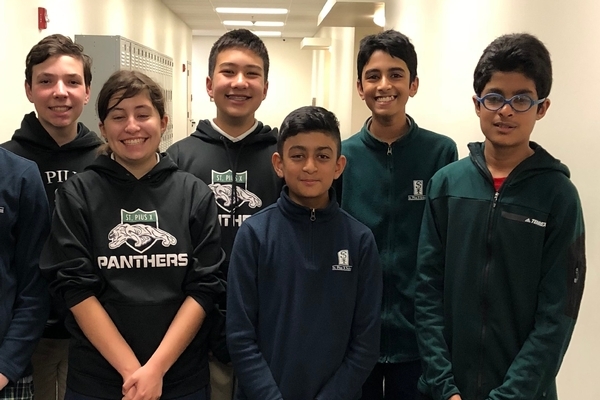 Competitors are offered the opportunity to participate in the Northwest Science Expo (Intel Science Fair), usually held the Friday before Spring Break, and, if available, one additional science fair in the late Spring. 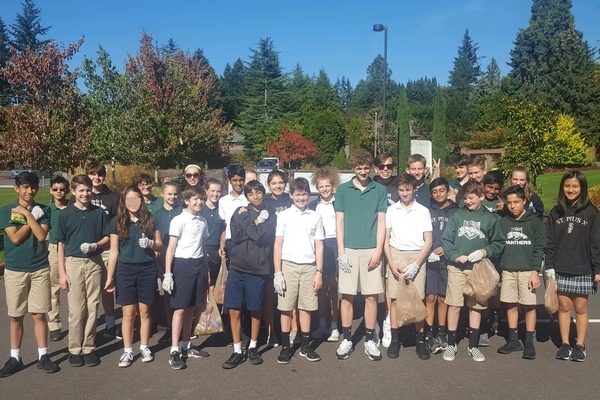 The St. Pius X Environmental Club brings students and teachers together to continue our Catholic mission to be a good steward of God’s creations. Environmental Club members seek to find sustainable ways to make our school and local communities environmentally friendly. They will engage in environmental issues and create meaningful projects that will positively impact the interactions between people and the environment.